Payment is due at time of photo session. We accept Check (preferred), cash, or PayPal. Jennifer Munson Photography offers two basic packages for senior photos in the Lexington, KY area. *One hour photo session for $250.00 + 6% tax is $265.00. This package includes 25 high resolution digital images. Print Release. Online gallery for image downloading. Free photo session consultation. 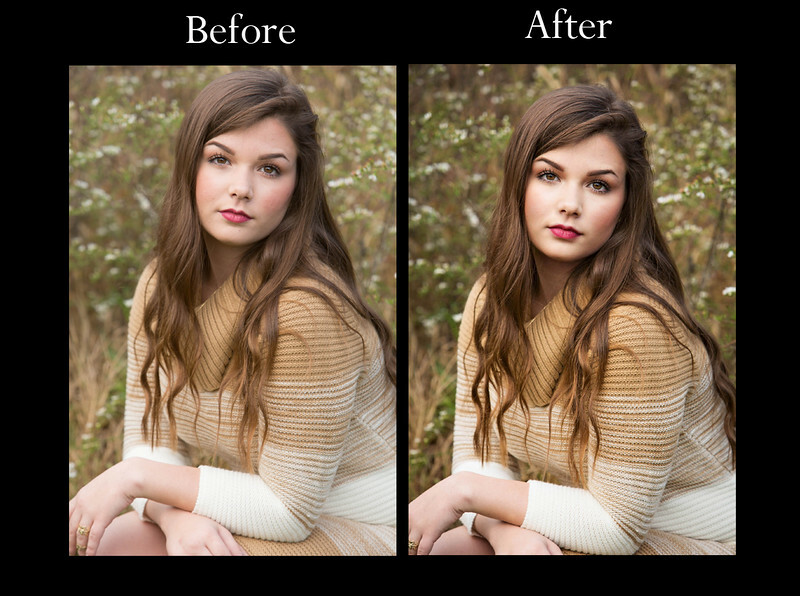 Basic editing - color correcting and portrait enhancement included. Images may be used for personal use such as online social media. *Unlimited outfit changes and multiple locations. *We offer the best printing quality along with reasonable rates. We edit our images using the same encoded color profiles as our professional online photo lab, thus the product result has the best quality and color matching. Our lab offers a wide variety of products as well as a large selection of media. * If you need more extensive editing for your images to remove blemishes and bruises and other concerns, please see our add on's for pricing. Some blemishes may be included in basic editing. * Travel for 15 miles outside the Lexington, KY area will have to pay a travel fee for gas. Fee will depend on the length of travel. *Two hour photo session for $400.00 + 6% tax is $424.00. Free photo session consultation. Basic editing - color correcting and portrait enhancement included. This package includes 50 high resolution digital images. Print Release. Online gallery for image downloading. Free photo session consultation. Images may be used for personal use such as online social media. If you school has deadlines for photo submissions, you must schedule your shoot at least 3 weeks prior to your deadline. We get extremely busy during the fall and can not deliver photos in a day. We edit and deliver photos in the order that you book with us. 1. USB drive for your images - $40.00 this price includes shipping and handling. 2. Premium editing includes basic editing and removal of light acne and bruises. It may cover any other concerns that you may have that need to be removed. We can discuss this at time of your senior shoot. * For severe acne or other issues, email or text me for a photoshop quote. 3. Albums - We offer custom albums for seniors.